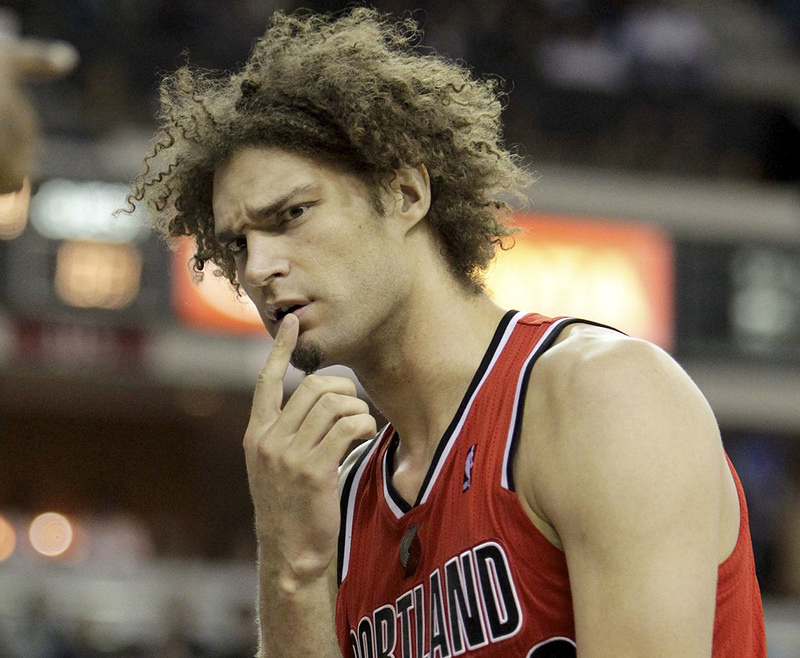 Robin Lopez, a quiet six-year veteran of the Portland Trail Blazers is currently on the mend after fracturing two fingers on his right hand. But we here at Impose want you to be steps ahead of your friends by claiming him as your favorite NBA player in time for his return to the court. First off, look at that mop of hair; it’s like Sideshow Bob. But this Lopez is no sideshow. May we list the ways you can enjoy Robin. So much that Rolling Stone interviewed him about what episodes were his favorite. Is there such a thing as DNP – Stayed home with cat? Watching the first episode of Batman 66, and the Riddler has just sued Batman and is taking him to court. BEST DVD PURCHASE EVER. Robin’s brother, Brook, is a center for the Brooklyn Nets and despite the family connection, Robin holds no punches when dealing with Brook as an opponent. In addition to all of these facts, Robin is a key part of the Trail Blazers, who are currently second in the Western conference and, if health prevails, Robin’s average of 9.6 points and 7.2 rebounds a game will keep them in contention. So grab an orange afro wig, put on an old Blazers jersey (bonus points if it’s Bonzi Wells) and get on the Fropez Bandwagon!